The Poker Room at Thunder Valley Casino Resort | Lincoln, CA: Can You Fold Top Two? Can You Fold Top Two? 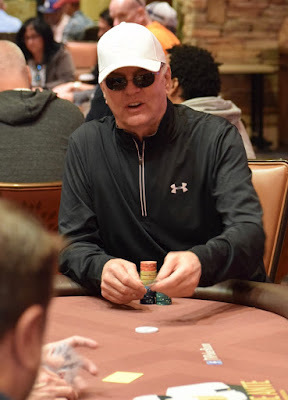 All the noise from an outer table caught my attention so I wandered over to see Mike Harvey, Hong Zhang and Ed Miller involved in a monster pot and Ed standing up commenting aloud he doesn't know what to do. Harvey is all in, Zhang has called off his stack ... and Ed is saying he thinks this is the weakest fold he's ever made ... as he tosses TopTwo in to the muck. Miller - "I am so good, I am SO good." The board runs out and Zhang is out, with Harvey moving to 50,000.